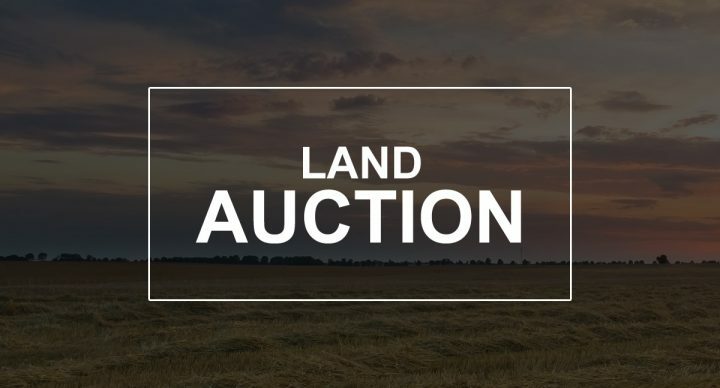 We will offer the following real property at auction at the land located from the east edge of Trent, SD – 3 miles south on 478th Ave. and ¼ mile east on 243rd St.; from Dell Rapids, SD (Dell Rapids Public High School) – approx. 1 mile north 475th Ave., 3 miles east on 244th St., 1 mile north on 478th Ave. and ¼ mile east on 243rd St.
Auctioneers Note: This auction presents an opportunity to purchase a smaller parcel Moody County, SD land which has been in the Joneson Family for several decades and presents a great opportunity of to purchase a relatively small parcel of land which potentially could be a nice addition to an area farming operation or an affordable parcel for a beginning farmer or investor. The adjacent farmstead & pasture formerly owned by the Joneson’s has previously been sold and not included, so this is a break-off parcel which will consists of a tract of land that is nearly all tillable. If you are in the market for a smaller parcel of land with a high percentage tillable, then be sure to inspect this property and plan to be in attendance at this auction. This +/- 62.83 acre unimproved farm will be offered as a unit. According to FSA aerial photo of the property it appears that this parcel of land has approximately 60.59 acres of cropland, as previously this farm was part of a slightly larger parcel that contained a total of 64.8 acres of cropland, thus based on a percentage contribution it is estimated that this parcel would have approximately corn base of 55.6 acres corn base with a 136 bu. PLC yield under the previous farm program and had been enrolled under the County ARC election. According to information obtained from Surety Agri-Data, Inc. this parcel of land has a weighted productivity index of a 71.5. The general topography of this land is level to nearly level. This is a very well located parcel of land bordered on the north by a gravel road (243rd St.). The building site & land directly south of it is excluded from the portion being sold, thus the land being sold is a break-out off of a larger 74.45 acre bareland parcel, on which the total RE taxes payable in 2019 were $1,474.36 or approx.$19.80/Ac. This is a small parcel of land which has potential to fit the needs of a variety of buyers with this land situated in southern Moody County, SD, a highly regarded agricultural area of eastern South Dakota. LEGAL DESC. : Tract 3 of Joneson’s Addition in the N½ NW¼ of Sec. 31, T. 105N., R. 48W., (Blinsmon Twp. ), Moody County, SD. TERMS: Cash – A 10% non-refundable earnest money payment on the day of the sale and the balance on or before April 12, 2019 with full possession for the 2019 crop year. All of the 2018 RE taxes payable in 2019 have been paid by the estate. Marketable Title will be conveyed and owners title insurance provided with the cost of the owner’s policy divided 50-50 between the buyer and seller. The acres in this farm are based on the acres as stated on a survey and plat of the property as prepared by Midwest Land Surveying, Inc., with the acres understood to be “more or less”. FSA cropland, yields, bases, payments and other information is estimated and not guaranteed and are subject to County Committee Approval and provisions of the New Farm Bill commencing in 2019. The existing fences may or may not be on the true and correct boundary and any new fencing will be the responsibility of the buyer pursuant to SD Law. Information contained herein is deemed to be correct but is not guaranteed. This property is sold in “AS IS” Condition and subject to existing easements, restrictions, reservations or highways of record, if any, as well as all Moody County Zoning Ordinances. The RE licensees in this transaction stipulate that they are acting as agents for the seller. Sold subject to confirmation of the Personal Representative.